One of the reasons that the Avro Flying School and airfield were moved from Brooklands to Shoreham in the autumn of 1912 was because tests could be carried out on both landplanes and float planes. 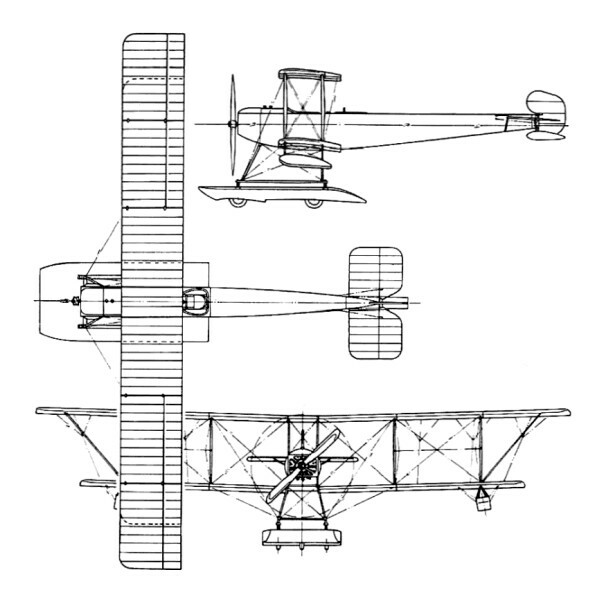 The latter had come about after Commander Schwann’s experiments with the Avro Type D that he converted to a seaplane. A.V.Roe had been watching Schwann’s experiments with interest, and could see the possibilities in developing a seaplane. The result was the Avro 501, which was an enlarged Avro 500 with a strengthened top wing and floats in place of the undercarriage. It had a wide central float 15 feet long and 7 feet wide, in which were fitted three wheels: one at the front and two at the rear. Because of the large wingspan of 47 ft 6 in, small floats were fitted to the wingtips to stabilise the aircraft when taxiing. Powered by a 100 hp Gnome engine, the Avro 501 was one of the first amphibians built, and first flew in November 1912. There were stability problems right from the start, and despite a number of modifications the central float was eventually replaced with two separate floats. Tests were carried out, and the fitting of the two floats worked sufficiently well enough for the Admiralty to ask for the aircraft to be delivered to their testing ground on the Isle of Grain. Encouraged by the interest shown in the float plane by the Admiralty, Roe produced a larger version of the Avro 501, the Avro 503. The success of the Avro 503H caused the Avro 501 to be cancelled. The single centreline float was removed and replaced with a wheeled undercarriage after the Navy agreed to accept it as a landplane. Three more Avro 503 Type H models were purchased by the Navy to be used by the Royal Navy Air Service.